Working out to improve your body composition takes patience, commitment, hard work, and planning. You have to fit it into your schedule, motivate yourself to workout, push yourself more and more each week, and persist despite how difficult it is at times. It’s a grind. With all of the effort and discomfort that we must go through to get our ideal body, it is not surprising that there is so much debate about nutrient timing for optimal workout results. Some people swear by their post-workout protein shake and believe that their workout is worthless if they don’t have their shake within the hour. Others pay no attention to nutrient timing and just exercise and eat when they can. In reality, optimal pre and post workout nutrition falls somewhere in between these two ends of the spectrum. Slamming protein shakes as often as possible can help with your gains, but it may be breaking your bank with little to no extra benefit. You can also gain muscle with a more relaxed approach, but without a set workout plan and macronutrient targets, it is much harder and takes much longer to get the results you want. To figure out the best way to approach nutrient timing, let’s dig through the research and find what strategies give us the best results. At the end of this article, we will apply what we learned to keto dieting so that you can get the results you want from your workout plan much more quickly. 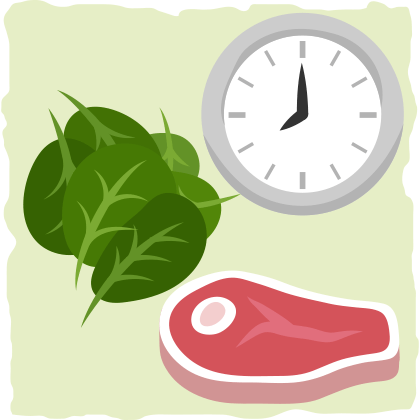 Nutrient timing does matter, but not as much as what you are eating in general. Calories, fat, protein, and carbs all play crucial roles in your energy levels, workout intensity, workout recovery, and body composition — and eating the right amounts of them throughout the day should be your top priority. After looking through the research, it seems like the two most important nutrition variables, from a body composition perspective, are calories and protein. If you are not eating the right amount of calories to achieve your goal(s), you will run the risk of either losing too much weight or gaining fat. Both excessive weight loss and weight gain will impair your metabolic health and make it much more difficult to achieve the results you want. It is also essential that you eat the right amount of protein every day. Muscle is very expensive for our bodies to maintain, so if it doesn’t have enough protein available and isn’t being used enough, then we will break it down for other more urgent survival needs. Once you are eating the right amount of protein and know how many calories you should aim for, you can meet your remaining calorie needs with fat and carbs depending on what diet you are following and what type of training you are doing (some activities require carbs while others don’t). What is the Right Amount of Calories and Protein? Now that we know what we should prioritize when it comes to nutrient timing, let’s boil it down into some practical advice. To estimate your ideal calorie consumption, follow the recommendations that you’ll find in this article. And to gain or maintain muscle mass, eat between 1.0 and 1.2g of protein per pound of lean body mass daily (and make sure you do some form of resistance training). Once you have these two values locked in, you can manipulate your fat and carb needs in a way that allows you to follow the diet strategy that works best for you. For example, if you want to implement the keto diet, you will set your protein and carb limits then fill in the rest with fat until you meet your calorie needs. Sound like a lot of calculation and guesstimating? 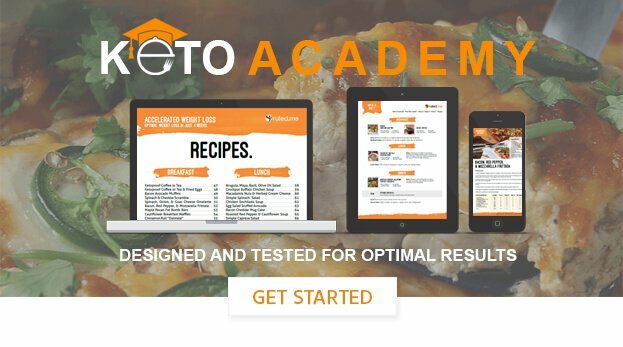 If you’d rather have a tool that does all of the macronutrient calculations for you, then all you have to do is click this link and plug your info into our keto calculator. After you use one of these methods, you will probably feel a bit overwhelmed. How are you supposed to eat so many calories and so much protein? When should your meals and how many meals should you eat? How big should your meals be? Let’s look at the current literature and find some practical strategies that we can follow. You know that magical anabolic post workout window? It doesn’t last for an hour. It actually lasts for 24-48 hours. To be more precise, the research indicates that resistance exercise results in increased muscle net protein balance for 24–48 hours. In other words, when we challenge our muscles with exercise training, it will make our muscles likely to grow for one to two days. However, just because your muscles are more prone to grow doesn’t mean that they are going to grow. You need to provide them with an adequate amount of protein at the right times. Fortunately, you won’t have to slam 20-40 grams of protein shakes every 2 to 3 hours to make sure you gain muscle. The anabolic effect of protein sticks around for much longer than many bodybuilders initially thought. For example, one study found that 45 grams of whey protein (one of the most quickly absorbed protein sources) will take about 50 minutes to cause the amino acid levels in our blood to peak, and a total of 3 hours for the amino acid and insulin levels to return to normal. This means that, when we only consume whey protein and nothing else, it can have an anabolic effect for up to 3 hours. But what happens when we eat a mixed meal that is high in protein? Carbs, fats, and soluble fiber have all been found to prolong the anabolic effect of high protein meals in different ways. One study reports that if the protein is delivered within large meals, the anabolic window can last up to 5–6 hours. To create your own high protein meal, the current literature suggests having at least 0.18-0.23 g/lb of lean body mass (LBM) or 0.4–0.5 g/kg of LBM of high-quality protein. It is best to consume this amount of protein at both pre- and post-exercise within the anabolic windows that we learned about earlier. For example, someone with 70 kg of LBM would consume roughly 28–35 g protein in both the pre- and post-exercise meal. If they just had a protein shake with only traces of fat, fiber, or carbs, then they would have to consume another shake around two to three hours later. On the other hand, if that protein was consumed in a mixed meal than that person could probably wait 4-6 hours before eating a high-protein meal again. It is also important to note that exceeding these protein recommendations will have minimal detriment if any. Conversely, if you significantly under-shoot or neglect, you would not maximize your anabolic response and muscle growth. Consume 1 -1.2 grams of protein per pound of lean body mass per day. Use fats and carbs to meet your calorie needs based on your diet strategy and workout needs. Divide your protein intake needs among your meals so that you are eating at least 0.18-0.23 g/lb of LBM (0.4–0.5 g/kg of LBM) or more every 4-6 waking hours. Eat the last meal of the day 4-6 hours after the previous meal. This meal will also contain at least 28-35 grams of protein. Go to sleep 2-4 hours later feeling satiated, but not uncomfortably full. After finishing the third meal, this person would have consumed close to the number of calories, protein, carbs, and fat that he or she needs to eat to meet his or her goals. Note: If any of your macro needs are not meet with three meals, you can either manipulate the macro content of your typical meals or add in an extra meal. For example, to meet your protein needs, you may need to increase the amount of protein in each meal or add an extra high protein meal to your day. No matter what diet you are following, using the rules that we went over above will allow you to get the most out of your workouts. However, there is one caveat when it comes to keto dieting and exercising — while you train, you may be straining the energy systems that rely on sugar for fuel. This is why many keto dieters will experience a reduction in exercise performance when they first start the keto diet. To learn what types of exercise you may struggle with after starting the ketogenic diet, check out our guide to exercising on keto. With that being said, it is possible to adjust your workouts so that you can follow keto without mitigating any of your progress in the gym. If you’d like to learn how to do this, then read through our guide to keto bodybuilding. Implement the Targeted Ketogenic Diet to provide your body with an extra bit of carbs to fuel your workouts. Follow the Cyclical Ketogenic Diet to refill glycogen stores more efficiently, so you have sugar to burn when you need to most. It is true that eating the right amount of calories and protein is extremely important when you want to improve your body composition, but we cannot forget about other significant variables as well. Sleep and Stress Reduction. When were are stressed from a lack of sleep and/or life stressors, we tend to secrete more catabolic hormones like cortisol. Cortisol fires up a process called gluconeogenesis, which turns certain amino acids into fuel. This means that, whenever you are stressed, your body will start to create sugar from your muscles and dietary protein. To prevent this from happening, make sure you get enough sleep and add stress reduction practices to your daily schedule like meditation. Although water will not help you build muscle directly, it is essential for your health and workout success. With a water loss of only 2% of your body weight, physical performance will be impaired, and with a 2.8% water loss, your cognitive function will be negatively impacted as well. This amount of water can easily be lost within the first week of the ketogenic diet, as the body sheds water and sodium due to carbohydrate restriction. You can also become dehydrated by simply sweating a lot during your workouts and not drinking enough water afterward. To keep this from becoming an issue, follow the water intake recommendations that you’ll find in this article. Meet Your Micros Too. Micronutrients, which we commonly refer to as vitamins and minerals, are essential for maintaining energy levels, preventing disease, and promoting muscle gain and fat loss. To meet your micronutrient needs, make sure you eat a wide variety of vegetables, fruits, nuts, high-fat dairy, meat, and seafood and cut down on processed foods. In other words, you should be meeting your micros while you meet your macros. Workout Enough to Stimulate Muscle Growth. In general, if you want to gain muscle mass, you have to challenge your muscles in some way. The simplest way to do this is by following a weight lifting protocol that increases the volume (weight lifted x reps completed) over time. By increasing volume in whatever way you choose (more sets, more reps, and/or more weight), you give the muscle the input it needs to trigger growth. Just make sure you eat plenty of protein and calories along with doing your workouts, and you will be on the fast track to your ideal body. Without these factors in place, it will be much harder to make gains at the gym. In fact, these variables can make or break you, so make sure you are meeting you macro needs and implementing these strategies at the same time for best results. Workout with enough volume that you stimulate muscle growth. Increase this volume slowly over time. Have a high protein meal every 4-6 waking hours. Meet your micronutrient needs while you meet your macros with whole foods. Make sure you are getting enough sleep and taking steps to mitigate stress. With these six strategies in place, you will be taking advantage of our current scientific knowledge on how to create the body of your dreams.